Camp Kivita | Wednesday Reflection – New friends, old friends – camp friends are the greatest! Wednesday Reflection – New friends, old friends – camp friends are the greatest! Camp is safe place for children to laugh, bond, explore, and connect with others without the pressure of everyday life. Children can work on their own, build as a group, or achieve as a team. They cheer for one another! They sing out loud in the dining hall standing on the chairs and singing as though there is nothing more important than that moment, that cheer. Campers are fully present – no screens, no distractions, just being in the moment of camp and connecting with each other. 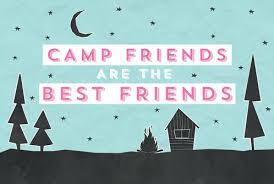 Many of them reflected on this as a great part of camp!! It is a beautiful, warm sunny morning. 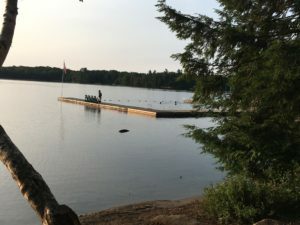 Sitting by the lake, watching the campers who rose early for a morning dip at the lake, while others wake slowly and ready themselves for a busy and fun day ahead it’s hard not to feel happy and relaxed.. and reflecting fondly of old camp friends. Have a wonderful day – yours in camping!